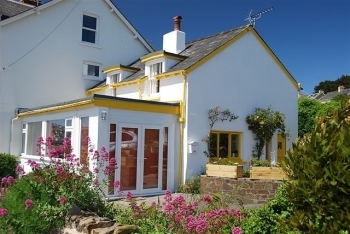 South Corner Cottage is a self catering cottage a stone's throw from the beech in Devon. The self catering cottage comprises 2 bedrooms, 1 of which is en suite. There is also a separate bathroom. The self catering cottage will sleep 4 people. South Corner Cottage has a beautiful coastal location with waterside views. Dogs are welcome. This self catering cottage has off-street parking which will accommodate 2/3 cars. The cottage has a lovely sheltered sunny patio with a South Westerly aspect. South Corner Cottage self catering accommodation, has an attractive fully fitted kitchen. The living room has a feature fireplace with a wood burner. The yacht club, restaurants and pubs are close by, as is the shop where you can buy anything you might need.